How to Be Financially Independent in Your Post-Retired Life? Most parents nowadays are keen to lead a financially independent life in their golden years. This societal transformation from when children financially and otherwise took complete responsibility of their aging parents is gradual but a clear shift. Whether we like it or not, the earlier concept of joint families, family business, and children or extended family members caring for the elderly is no longer being followed. So while you are in your financially productive period, you should definitely think about a time when you will not be in a position to earn a living. In such a case, you will need to find sources of income from investments. This income must be sturdy enough to cover all your expenses for the rest of your life. Here are some pointers to consider when you plan for a financially independent post-retired life. Statistics prove that human life expectancy is increasing, which indicates that you are looking at about at least 20 to 30 years of life when you are not in a position to work for a living. This means you definitely need a robust corpus fund. Hence, to avoid taking up excessive stress in your thirties and forties wondering how you will meet the financial expectations of a long journey, it is safe to start when young. Your investment plan should look for three types of financial needs – short-term needs that fulfill immediate goals, emergency funds that cover unexpected events, and strong long-term investments for that will give you a sizable income even when your health does not allow you to work for a living. This is where insurances, EPFs, NSC, and pension schemes come in. Government and many private organizations offer pension schemes. Ensure that you make use of the opportunity to create a fund for your retired life. Of course, you also have tax benefits when you avail these options. But this will not be enough; hence go in for a select set of long-term investment after you carefully determine the risk, returns, and interest from these investments. The combination of rising prices and extended life expectancy can make surviving the post-retirement stage quite a challenging task. Hence when you make an investment plan for your golden years, remember to account for inflation when you calculate the finance you will require on a monthly basis to cover your expenses. Divide your expenses into portions, with a significant proportion going for medical expenses. Yes, medical expenses are the greatest worry in your golden years. While children will definitely contribute in your tough times, you will be definitely in a stronger position when your medical insurance can help you cover your expenses. Of course, there are limitations. Your eligibility to avail a medical insurance becomes a question mark if you consider this options later in life, say, in your late forties. Hence, make a smart move and invest in a medical insurance in your twenties and commit to pay your premiums sincerely to take complete advantage in your post-retirement life. Create a healthy investment portfolio with pension schemes, medical insurance, other insurances, and fixed deposits with specific advantages for senior citizens. But do take on some risk with a small percentage of your money by investing it in mutual funds. Of course, make smart decisions with the help of a strong investment advisor. Most Indian homes still go in for traditional savings options of home and gold, but take a step back from using these assets to create money-making options. For example, reverse mortgage of homes can be considered as one option to give you a steady income while also giving you the power to continue to live in your home. With not much information available on using this option of earning an income, such routes are still not being used often. Planning for your golden years requires a lot of serious thought and planning, with sincere implementation. In your twenties and thirties, allocating a considerable percentage of your income for these years will be easy. Hence plan for strong long-term investments that help you transition into your golden years with confidence and pride. PrognoAdvisor is your trusted online financial planning service from India, with extensive expertise in understanding your specific financial and life goals and guiding you achieve these goals with confidence. Connect with our financial advisors at Prognoadvisor.com to understand how you can simplify the entire process of personal financial planning in terms of both long- and short-term investments that help you achieve smart wealth creation and management, delivering, of course, some smart tax savings. Why Should You Have a Diversified Portfolio When You Plan Your Personal Finances? The awareness about the relevance of personal financial planning in every individual’s life has grown manifold over the last few years. However, many of us are still not effective in creating a well-balanced personal finance portfolio that will take us toward our life goals and help plan a secured retired life. For many of us planning and sticking to a strict budget plan is nothing short of a financial horror movie! It’s a stamp of derailment on all the fun we can have in life. But all these misleading apprehensions often rob our lives from the precious savings we can gain if we plan our budget right from our early stages of earning a living. 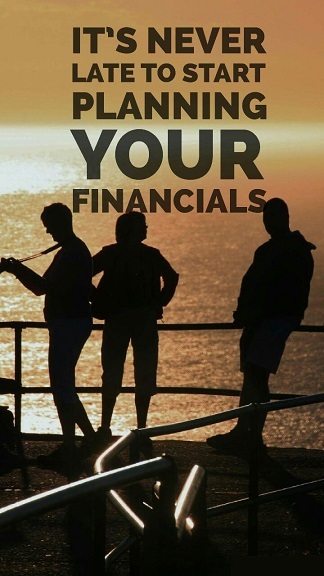 Personal financial planning is a critical activity that’s your life-long companion. It’s not enough to just earn money. Saving and investing your hard-earned money so it grows and is beneficial to you in your post-retirement life is equally important. Retirement planning has become more a necessity than an option, with increased life expectancy, changing social norms forcing a nuclear family form of living, and increasing lifestyle diseases. Why Is Flexibility a Critical Factor in Your Personal Financial Planning Exercise? Personal financial planning is all about mapping your money to your short- and long-term life goals, essential expenses, and unforeseen emergencies. It’s the critical first step to getting your life organized. But despite our best financial planning efforts, life’s uncertainties take their toll and your well-planned investments might not seem to be the right fit given the new circumstances. Why do you need an expert financial advisor? Most of us have a laser-sharp idea about the short- and long-term life goals we would need to achieve and the kind of lifestyle we would love to lead. We are also equally aware that we need a steady source of income to ensure that our life goals are met and that our lifestyle is not compromised. Most parents nowadays are keen to lead a financially independent life in their golden years. This societal transformation from when children financially and otherwise took complete responsibility of their aging parents is gradual but a clear shift. Whether we like it or not, the earlier concept of joint families, family business, and children or extended family members caring for the elderly is no longer being followed.